A longstanding motel along East Colfax Avenue has changed hands. S&S Motel LLC purchased the Sand & Sage Motel, located at 8415 E. Colfax Ave., for $1.45 million last month, according to county records. The 20-bedroom motel has sat on the 0.4-acre lot on East Colfax since 1946. 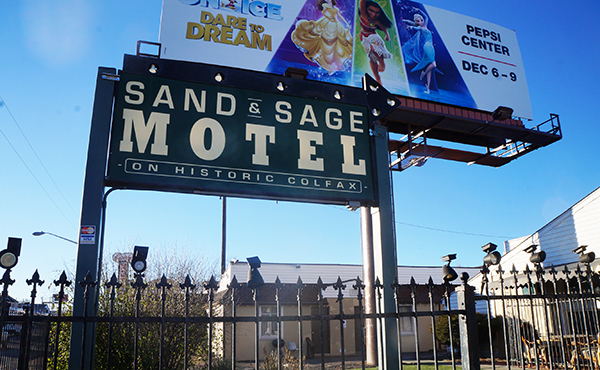 Records indicate that the 8,150-square-foot building has been called Sand & Sage Motel since at least 1991. The motel is one of many along Colfax that cater to lower-income residents who often stay for extended periods, as opposed to travelers stopping in for a night or two. The LLC that purchased the property was registered by a Daniel Eugene Kim. The seller, In Woo Corp., purchased the property in October 2016 for $1.05 million. The broker listing the property, Nicholas Chin of The K Company Realty, did not return a request for comment.